Next time you have a party or even plan a nice date, why not give these oil lamps a try? They are so simple to make and use just an orange and regular olive oil. 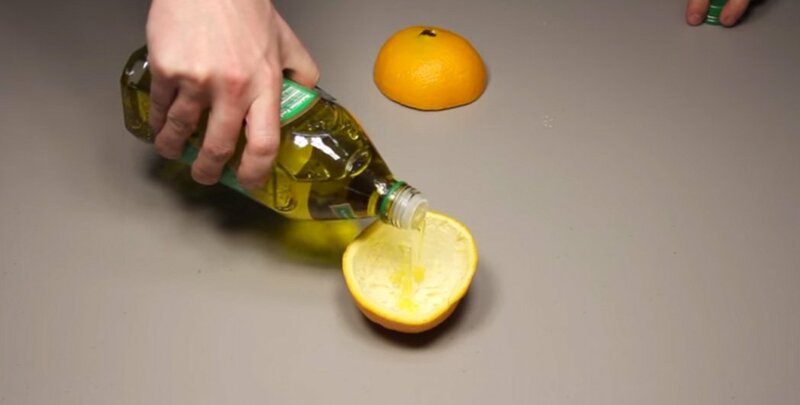 By pouring the oil inside the orange you have all the ingredients for a working oil lamp, wick and all. If done properly, each lamp will give you around 6-8 hours of burn time. Plenty of time to romance your date and turn the night into a real romantic setting. This is such a great idea, please SHARE with your friends.